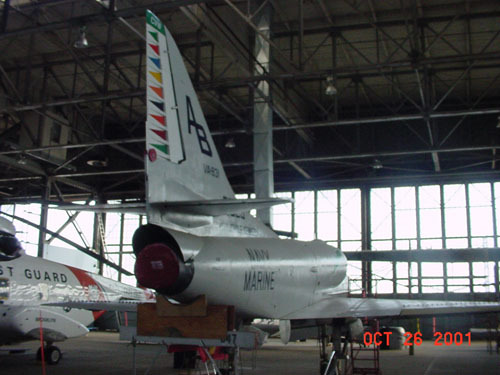 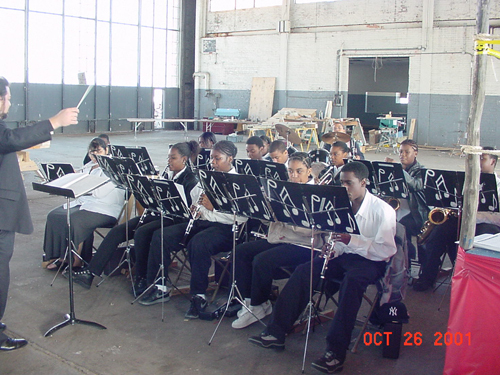 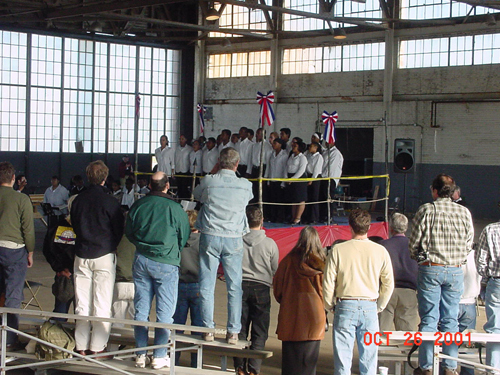 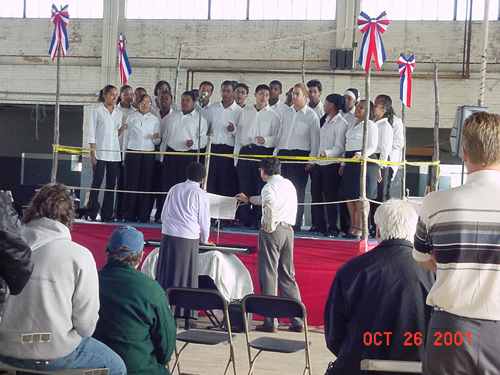 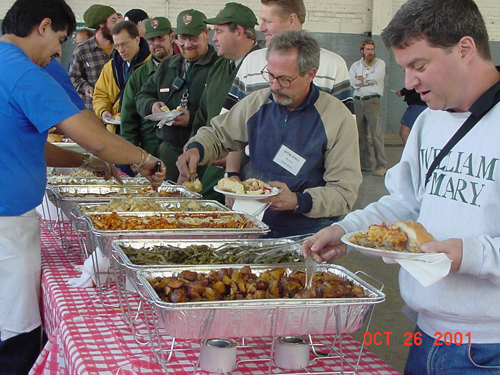 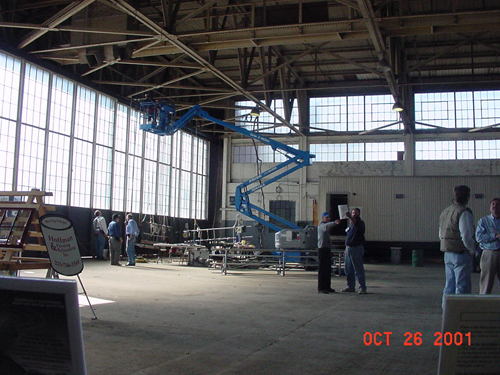 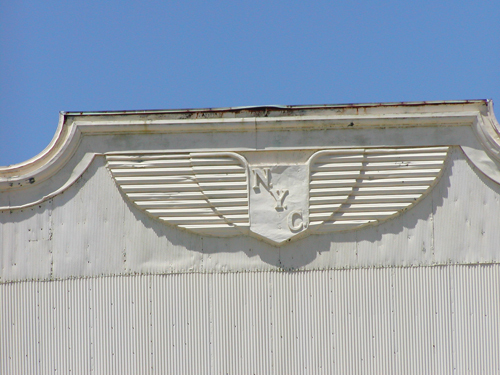 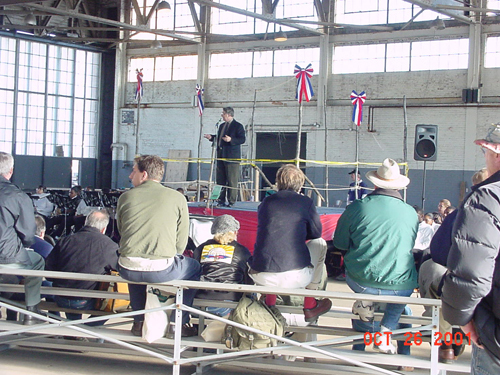 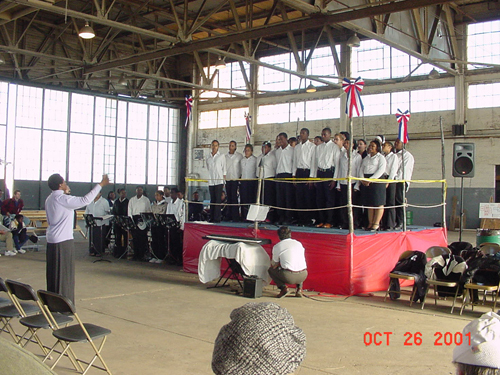 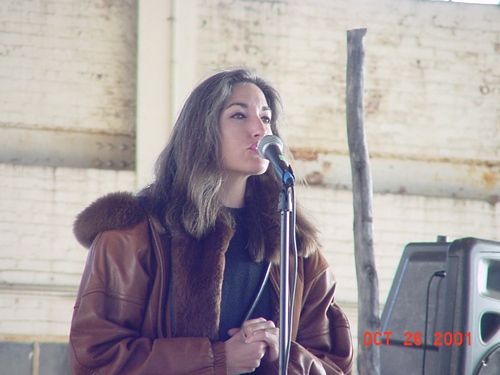 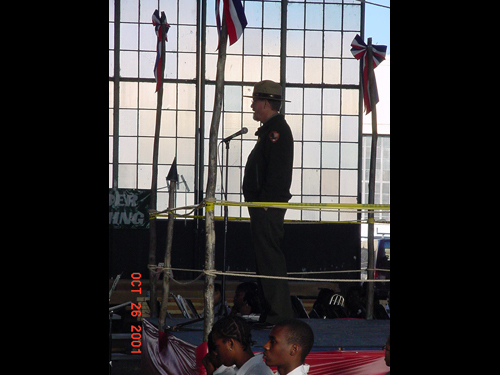 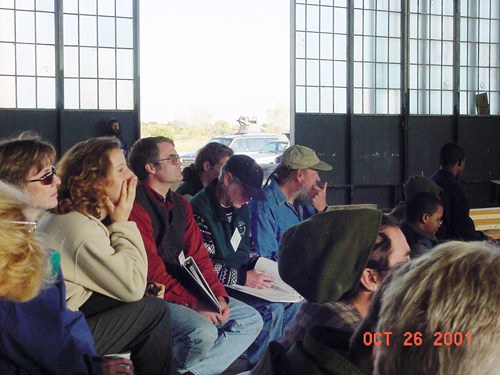 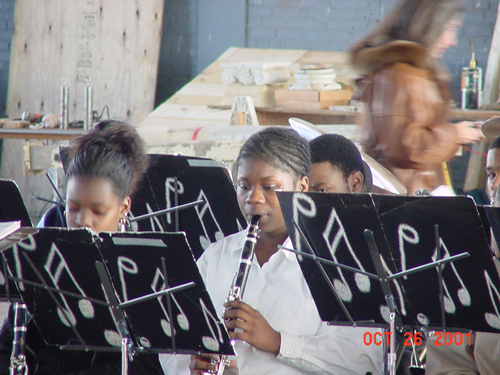 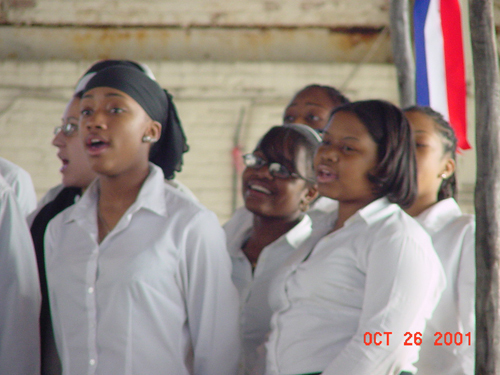 IPTW 2001, Brooklyn, New York - "Partnerships"
In partnership with the National Park Service, Gateway National Recreation Area, IPTW 2001 was held in October at historic Floyd Bennett Field in Brooklyn, NY, with the theme “Partnerships”. 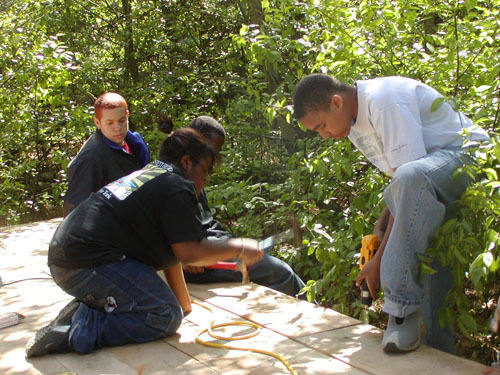 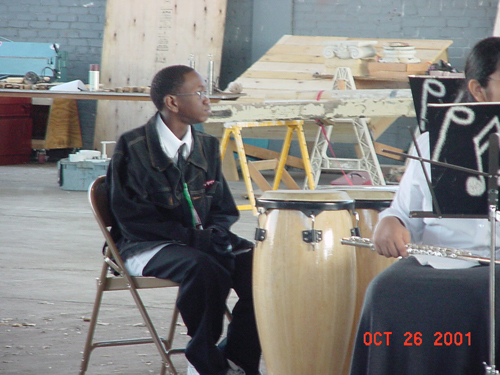 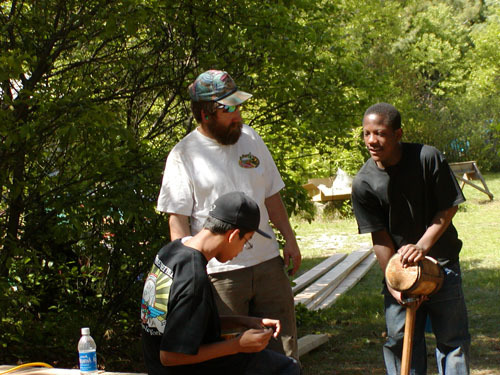 The National Park Service requested help from PTN to develop facilities at the Ecology Village camping site in the Brooklyn unit of the park, where urban youth experience environmental studies in a natural environment. 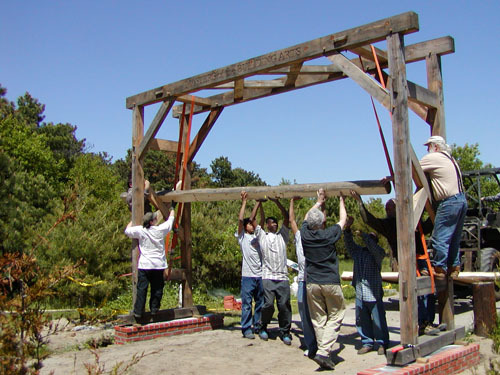 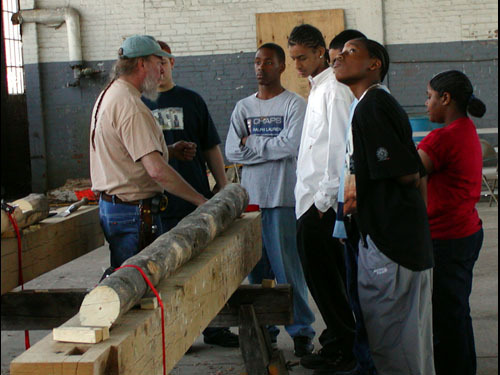 PTN and Timber Framers Guild members designed a small timber frame structure to be built with the active participation of students from the Brooklyn High School for the Arts. 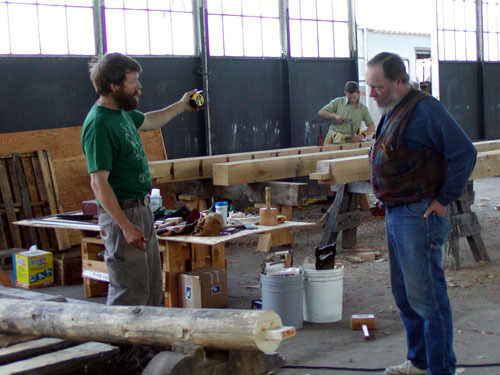 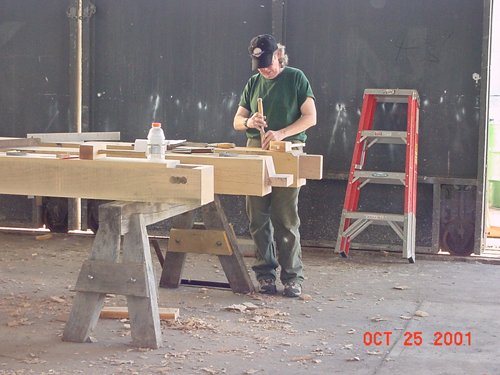 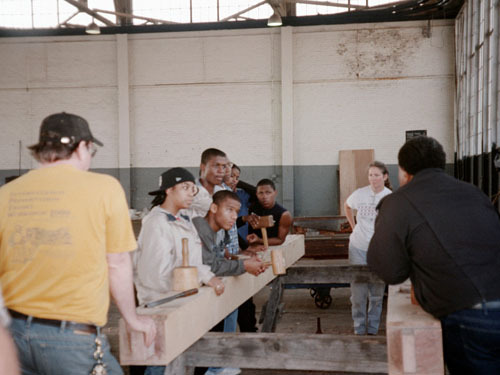 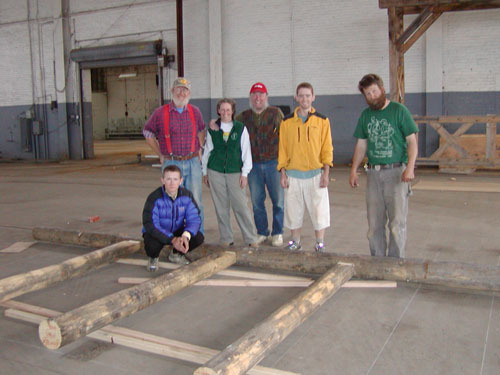 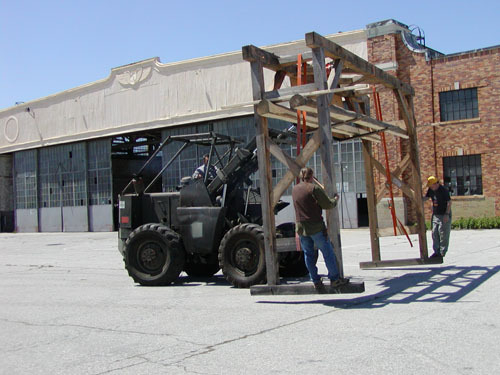 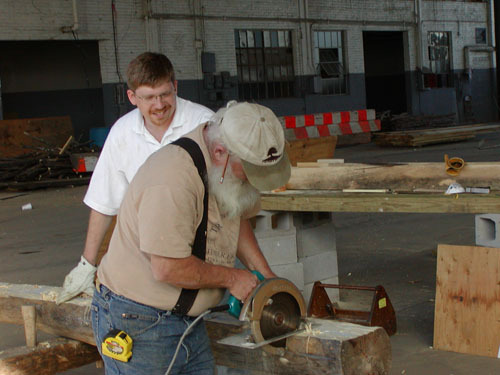 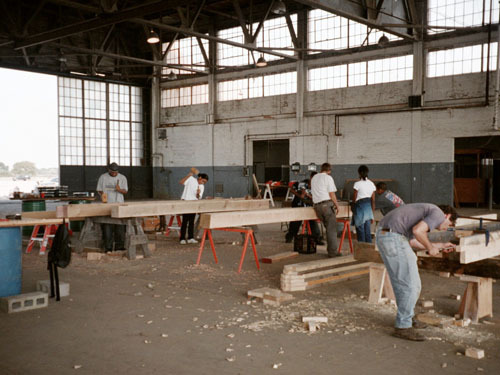 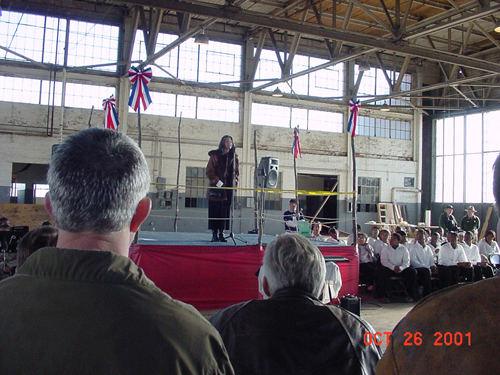 PTN also arranged for the donation of a large decorative wooden gate, constructed by the Timber Framers Guild during the 2000 Smithsonian Festival of the Building Arts in Washington, DC. 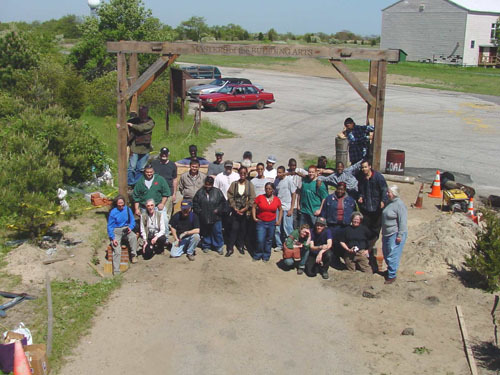 PTN coordinated donation of materials for the Ecology camp shelter, and transportation of the Masters of the Building Arts Festival gate to the Floyd Bennett Field site. 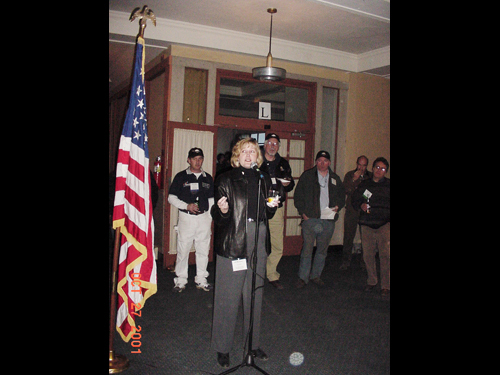 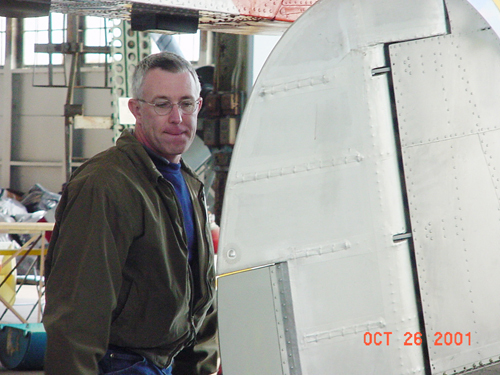 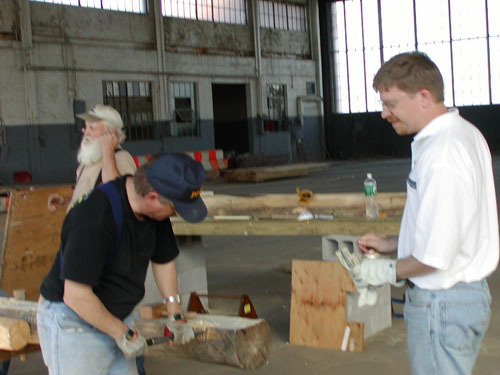 In the immediate aftermath of the events of 9/11, the timing and location meant that many members of the local trades community were involved in recovery and support efforts at the WTC site. 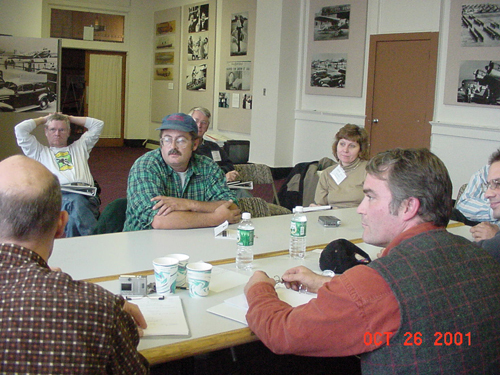 Consideration was given to canceling or postponing the event. 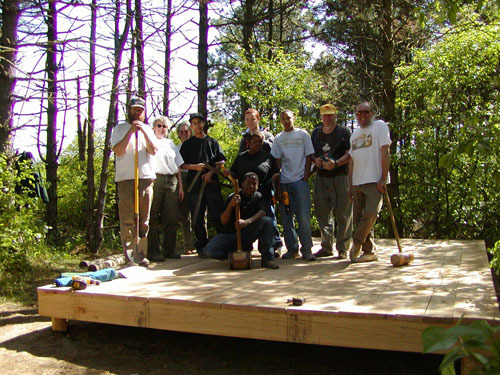 However, there was a strong consensus among event organizers that the commitment PTN had made to the National Park Service for work at the Ecology Camp site had to be honored. 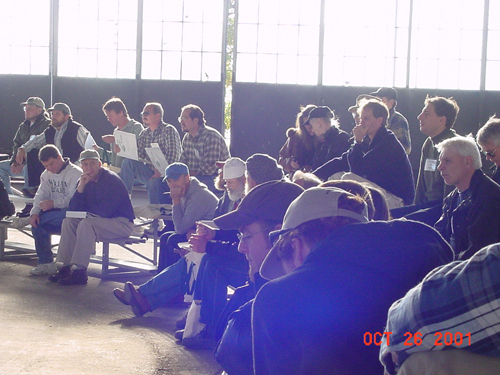 Although attendance at IPTW 2001 was fewer than 200 people, it clearly demonstrated the potential of the spirit of the network to prevail, and to gather despite adversity. 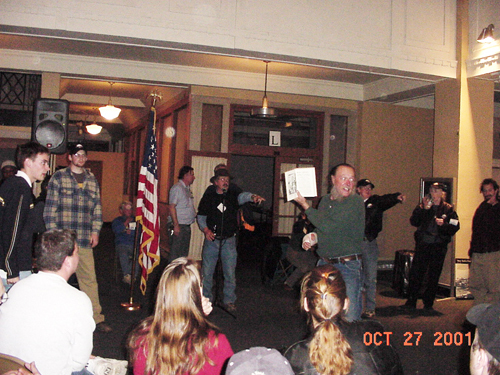 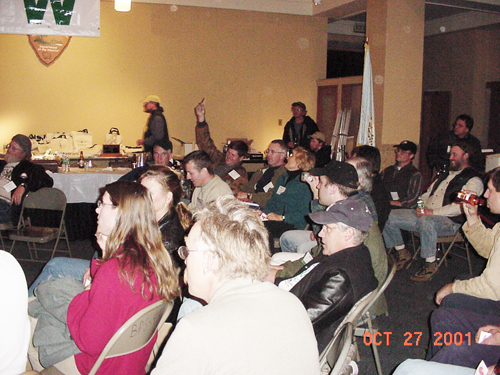 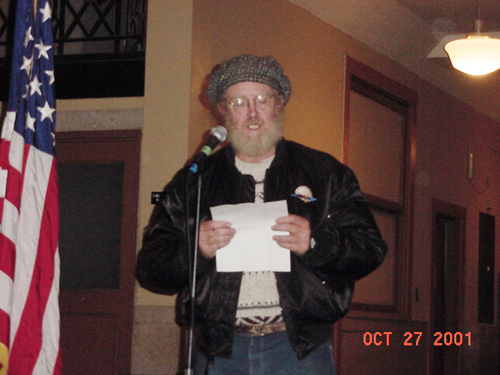 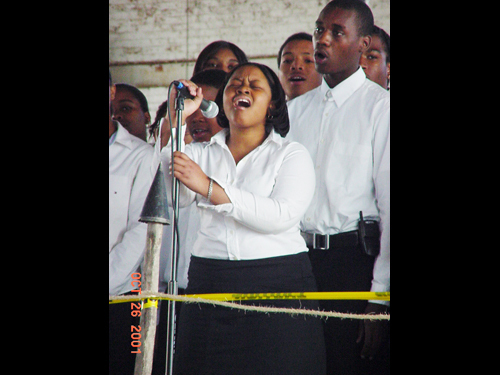 At IPTW 2001, PTN members initiated an annual auction to raise funds for the organization which has become a lively and successful highpoint of every subsequent IPTW. 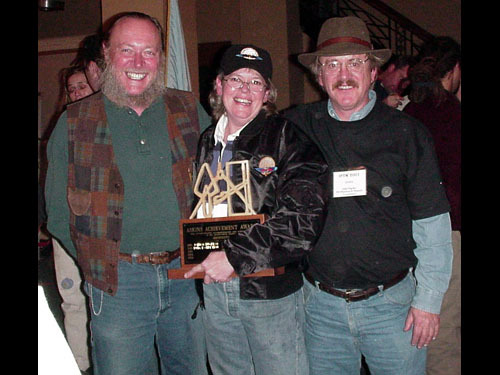 Lisa Sasser, 1986 graduate of the National Park Service Williamsport Preservation Training Center, and a founding member of PTN was the recipient of the 4th annual Askins Achievement Award. 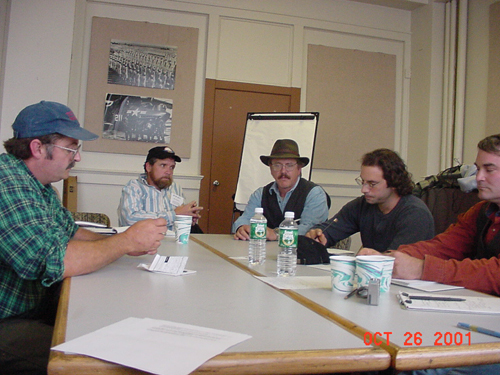 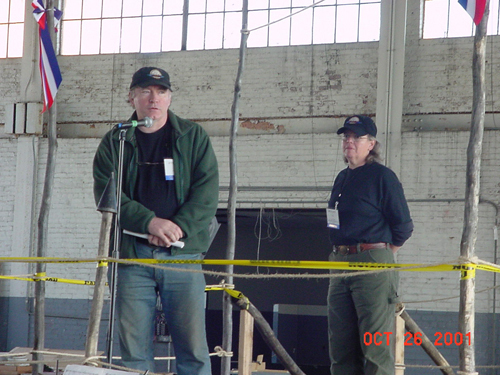 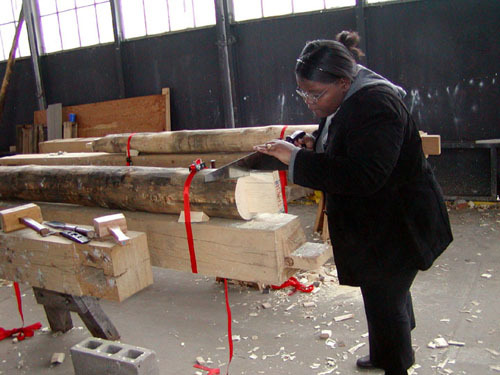 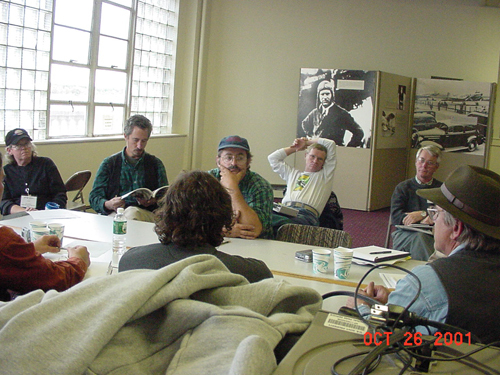 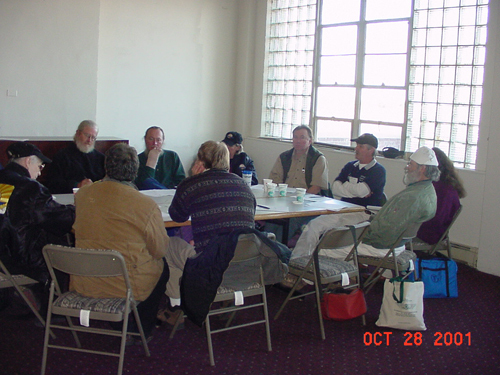 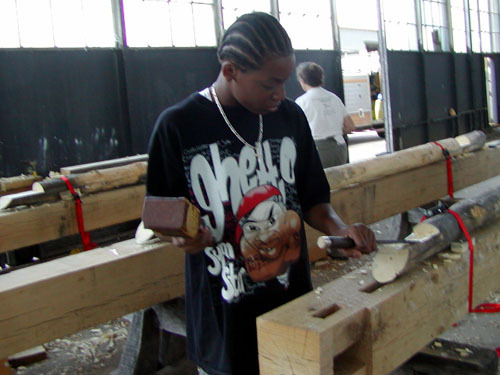 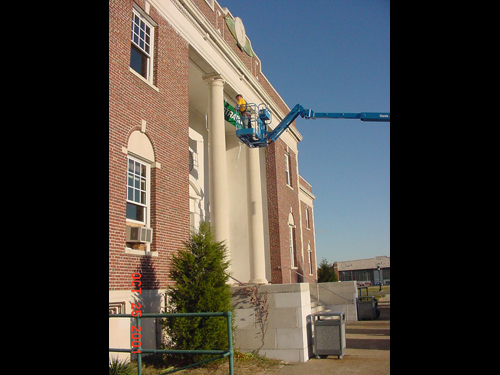 The Preservation Trades Network was represented at the 2001 National Preservation Conference in Providence, Rhode Island by a panel of PTN members in a session on Building Craftsmanship – Sources, Resources and Initiatives. 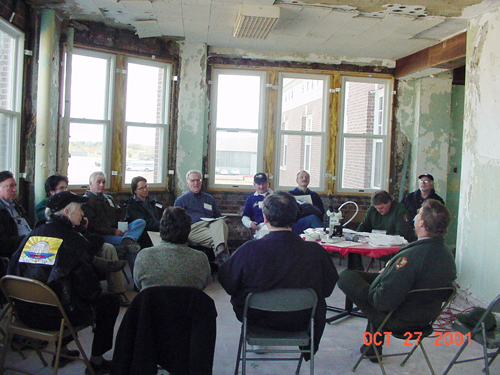 After five years as a Task Force of the Association for Preservation Technology International (APTI), PTN was formally established as a 501(c)6 non-profit corporation in 2001. 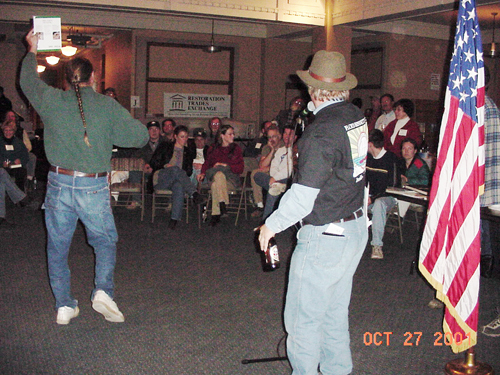 IPTW 2018, Frederick, Maryland - "Go Big or Go Home!" 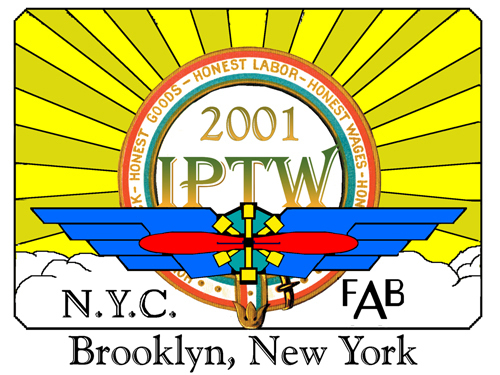 IPTW 2017, Detroit, Michigan - "Makin' It By Hand"
IPTW 2016, Berryville, Virginia - "20 Years Under Our Belt"
IPTW 2015, Burlington, Vermont - "All the Trades Under One Roof"
IPTW 2014, St. Clairsville, Ohio - "Kickin' It Old School"
IPTW 2012, Charleston, South Carolina - "Cornerstones: Collaborative Approaches to Preservation"
IPTW 2008, Barre, Vermont - "A Place for the Trades"
IPTW 2007, Frederick, Maryland - "Coming Home"
IPTW 2006, New Orleans, Louisiana - "Rebuilding Hope – Reclaiming Heritage"
IPTW 2005, St. Clairsville, Ohio - "Building Bridges to International Collaboration"
IPTW 2004, Mobile, Alabama - "Education"
IPTW 2003, Columbia, Maryland - "Futures"
IPTW 2002, Fairmont, West Virginia - "Community"
IPTW 2000, Harrisburg, Pennsylvania - "Convergence of Architecture and Craft"